The legendary writer's first collection in more than 10 years, a literary event of the highest order. Joy Williams has been celebrated as a master of the short story for four decades, her renown passing from one generation to the next even in the shifting landscape of contemporary writing. And at long last the incredible scope of her singular achievement is put on display: 33 stories drawn from three much-lauded collections and another 13 appearing here for the first time in book form. Forty-six stories in all, far and away the most comprehensive volume in her long career, showcasing her crisp, elegant prose, her dark wit, and her uncanny ability to illuminate our world through characters and situations that feel at once peculiar and foreign and disturbingly familiar. 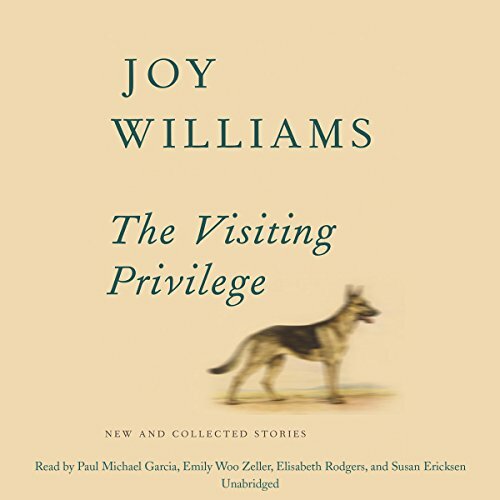 Virtually all American writers have their favorite Joy Williams stories, as do many listeners of all ages, and each one of them is available here in this definitive collection. ©2015 Joy Williams (P)2016 Blackstone Audio, Inc.